Are you trying to come up with the next big product idea for your company? Chances are that you may be looking for some inspiration to help spark innovation within your organization. Innovation begins with an idea and without innovation, there will be no product. To start innovating, you must know the difference between generating ideas and innovation. The act of generating ideas is creativity. Innovation is the action that you take to bring your idea to market. In short, to start innovating, we need to generate ideas but ideas amount to nothing until we take action on them. Coming up with business ideas can be tough, especially without help. For your inspiration, here are some truly innovative ideas for business. Walter Lippman, writer, reporter, and political commentator. “DITCH YOUR BELOVED HEELS IN THE TOTE AND STAY FABULOUS IN FLATS”. Originally started by Hailey Coleman from Toronto, Damn Heels carries a fashion line of foldable flat shoes for women. The shoes are lightweight and can be slipped on after a night at the club. The organization makes robotic balls that you can control with your smartphone. They are the size of a tennis ball and contain a little robot that can be guided around. Sphero opened up a world of possibilities for military organizations and pets. Nick Ganju, Cyrus Massoumi and Oliver Kharraz from New York founded ZocDoc. ZocDoc is an easier way to book appointments with your doctor, including last minute appointments. Practitioners list their practice on ZocDoc and people book appointments with them. ZocDoc makes money from the practitioners by charging them a listing fee. The hardest time for an infant is the time of birth and many infants die in developing countries from the harsh weather. Embrace Global is changing that unpleasant situation for many newborns with its Embrace Infant Warmer product. A sleeping bag that serves as a backcountry incubator without the need for electricity. There is a heating device in the bag that can be removed and charged in boiling water. Now that’s pretty cool. Enjoy biking without the constant peddling. The company produces lightweight, foldable electric bikes with a range of 20 miles and recharges every three hours. Innovation demands that organizations embrace change. The kind of change that we are referring to is changing the status quo (the existing state of affairs). How are you challenging your organization? How are you tapping into the creativity of your organization? These are two good questions that you can ask yourself in order to get a clearer picture of where your company really is with innovation. If you are looking for innovative ideas for business, then there is no better place to start than with your employees. For example, you can have a meeting with 20 district managers for ideas or you can connect with everyone in your organization for ideas. The second option is likely more effective. So how do you operate with more innovation? Here are some things that you can do to start operating with more innovation in your company. “Organizations, by their very nature are designed to promote order and routine. They are inhospitable environments for innovation”. Theodore Levitt, economist and professor at Harvard Business School. Make Curiosity Part of Your Culture – You know that thing people say, “curiosity killed the cat”, well it’s not entirely true. You have to welcome curiosity in your organization. Create an environment where questions are welcomed. Maintain an open door policy and ensure that all questions are seriously considered. Operate Without Fear –Fear is a killer of dreams and a killer of startups. Every person experiences fear on a daily basis, the difference is in how we choose to handle this emotion. Anyone that is constantly afraid of making mistakes won’t get a lot done. If your employees are constantly afraid of saying the wrong thing to you or senior leadership, your organization will always lack innovation. Scared employees don’t want to give you their ideas. Operate in or Create Innovative Environments – Not too many people will want to work in a dark room with dull colors and not a lot of people will want to innovate in one either. Make sure that your office setting is an environment for innovation. You may also hire an interior designer. Interior designers specialize in creating functional spaces within a building based on their studies about human behavior. Place ZERO Restrictions – It will be hard for your organization to innovate with restrictions. Placing restrictions or guidelines that prevent your people from tapping into their full creativity will hurt your efforts. Instead, ensure that all innovative ideas for business are sent through a filter system. The filter system will help you weed out the bad ideas and keep the best ones. Get an Idea Management System – Install an idea management system for your organization. Idea management systems help organizations collect ideas from all their employees, evaluate those ideas, and bring products to market faster. In the past, many companies used a suggestion box system but this proved to be a very slow process. Today, successful companies use idea management software to keep everyone in their organization connected. The basic function of idea management software is to collect ideas, allow other employees to improve them, and allow decision makers to decide which ideas to use. Idea management software is the best tool for collecting innovative ideas for business. 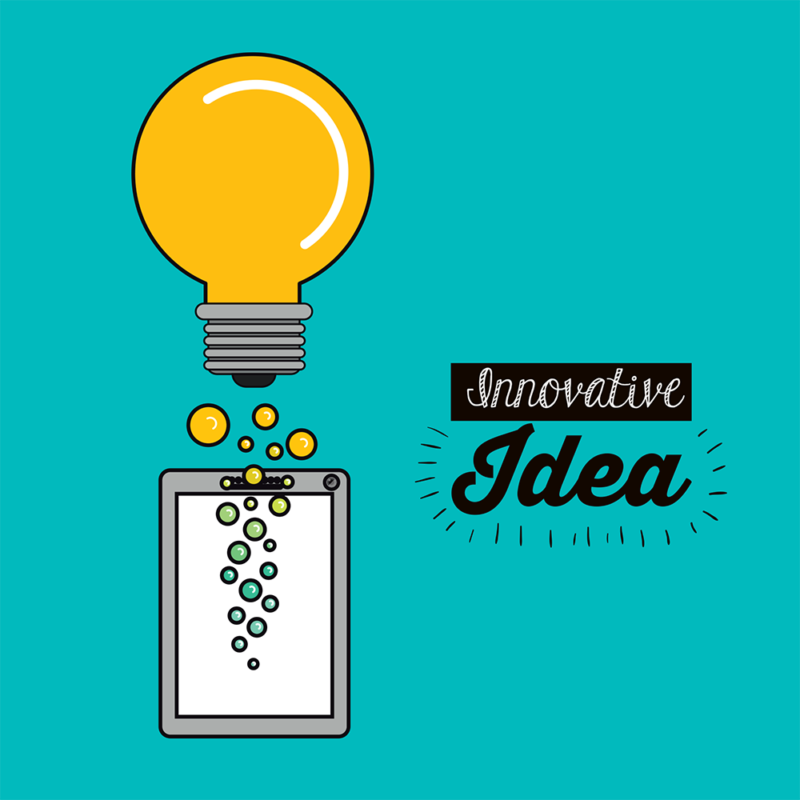 What businesses have you come across that you consider innovative? How are you maintaining a creative workplace environment? Is it efficient for your office and company? Let us know in the comments below. Jeffrey Fermin is the Marketing specialist or "Growth-Hacker" at The Vision Lab. He brings a creative approach to online marketing, SEO and content creation. Aside from marketing, he is knowledgeable about business to business sales, new-age HR practices, and an avid writer.